Volunteering since the early 80's include 11 years a Reserve Police Officer in Pinole CA, 13 years a member of Solano County Sheriff's Office of Emergency Services and SAR. Moving to Nevada volunteered at Yerington's Food Pantry picking up food for one year. Currently a County Fair Board member, Chamber of Commerce member, Friends of the NRA Board member and a member of Yerington's Rotary. 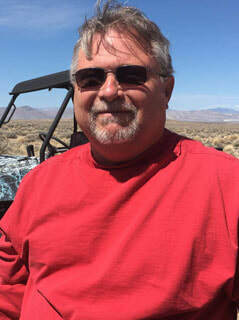 I'm currently Yerington's only VIP (Volunteers in Policing) in LCSO's Walker River District area working Tuesdays and Sundays delivering subpoenas, doing VIN checks and vacation watch, aka "Victor 40." Copyright © 2015 Yerington Chamber of Commerce. Partial funding provided by City of Yerington and Lyon County Room Tax Board. All rights reserved.